Coaching Supervision is a formal process of professional support, which ensures continuing development of the coach and effectiveness of his/her coaching practice though interactive reflection, interpretative evaluation and the sharing of expertise. First time offered in the U.S. International Coach Supervision Training facilitated by Tatiana Bachkirova, Professor of Coaching Psychology and Director of the International Center for Coaching & Mentoring at Oxford Brooks University and Angela Wright, Director of the Coaching Center of Excellence and Co-Chair of Coaching Supervision Programs at the Association of Talent Development, New York City. The International Coach Supervision Training Program is designed for experienced coaches with an active coaching practice who already have a postgraduate qualification in Coaching, Psychology or equivalent. The aim of the program is to provide highly experienced coaches with an opportunity to extend their competences and skills into the area of coaching supervision. The program is designed to use innovative and intellectually stimulating methods to take senior practitioners to a new realm of practice. Be introduced to different discourses of coaching, and engage with a high-level overview and critical analysis of the coaching field that will allow them to position their practice for the benefit of the coaching profession as a whole. Explore multiple perspectives on coaching in order to develop an approach to supervision that is professional, ethical and tailor-made for individual coaches using a wide variety of approaches. Be provided with an opportunity to enhance their understanding and develop advanced skills in order to address various issues of the supervision process. Stage A consists of three months preparation during which participants undertake preliminary reading, reflection, peer-supervision and supervision practice. This stage is to be completed between November 2018 and February 2019. The minimum reading will include specifically designed materials and selected chapters from the provided book: Bachkirova, T., Jackson, P. & Clutterbuck, D. (Eds), (2011) Coaching and Mentoring Supervision: Theory and Practice, Maidenhead: Open University Press. Participants will be paired for peer-supervision (at least two sessions) according to provided guidance that will include tasks for reflection and preparation. In addition, they will be asked to deliver at least one supervision session for a volunteer coach. Stage B: Intensive 4 day course. This face-to-face component will take place in New York in February 2019. The course will engage participants in a range of innovative methods of study that include conceptual discussions, co-active reflection, experiential activities and group supervision. Participants are not initiated into a particular approach to supervision but are encouraged to experiment with the variety of approaches in order to identify their own model and style of supervision. With the completion of further virtual components, participants may seek accreditation as a Coach Supervisor with Oxford Brooks University, the European Mentoring & Coaching Council as well as other professional associations, including the Association of Coaching Supervisors, the Association of Professional Executive Coaches and Supervisors. Oxford Brookes University has been a leading provider of postgraduate education for Coaching Supervisors since 2006 and is well recognized in the field of coaching and mentoring for its leading contribution to research and postgraduate education of coaches, mentors and supervisors. *ATD NYC, ICF NYC and IOC members receive a $500 Discount. The application process is open now. Applications are due by September 30, 2018, at 5:00 PM ET. All applications are reviewed on a rolling basis by our review team and all available program spots are filled on a first come first serve basis. For more information and to confirm that your qualifications and experience are appropriate for this course and to request an application form, please contact Angela Wright. Once your application has been approved we will send you details of how to register for the November start. This event has been organized by the Coaching Center of Excellence. 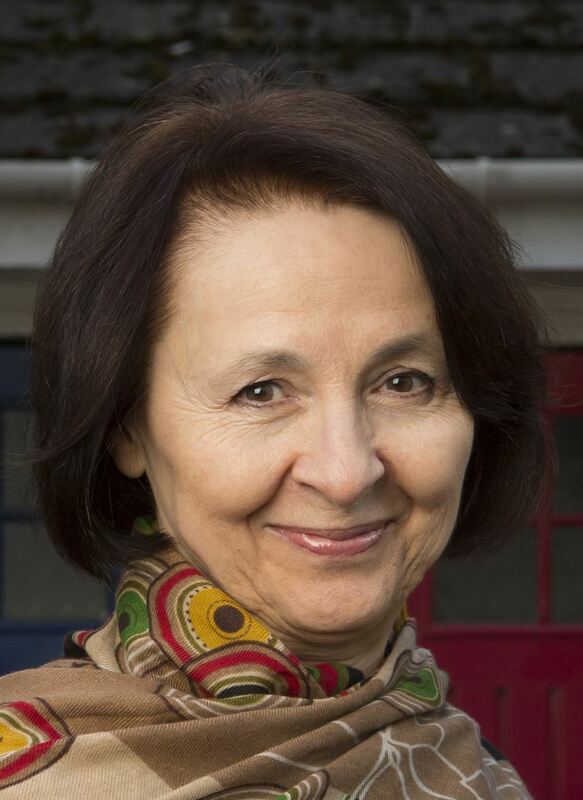 Tatiana Bachkirova is Professor of Coaching Psychology and Director of the International Centre for Coaching and Mentoring Studies at Oxford Brookes University, UK http://www.brookes.ac.uk/iccams/. As an academic, she teaches on postgraduate programmes and supervises PhD students. As a practitioner she supervises coaches individually and in groups, in the UK and internationally. At Oxford Brookes she also leads an internationally renowned programme of Advanced Study in Coaching Supervision and is a Convener and Chair of the International Conference in Coaching Supervision. Tatiana is a recognised author, international speaker and holder of an achievement award in recognition of distinguished contribution to coaching psychology from the British Psychological Society. As an active researcher she published many research articles, book chapters and books, including the Complete Handbook of Coaching (2010, 2014 and 2018), Coaching and Mentoring Supervision: Theory and Practice (2011), Developmental Coaching: Working with the Self (2011) and The SAGE Handbook of Coaching (2017). Tatiana believes in the power of knowledge when it becomes part of the practitioner’s self and is skillfully applied in the immediacy of coaching or supervisory relationships. She looks for different opportunities to contribute to knowledge in her various roles and enjoys supporting others in developing knowledge. Angela has over 25 years global professional experience. A former Board member, Angela currently serves as the Director of the Coaching Center of Excellence and Co-Chair of Coaching Supervision Programs at the Association of Talent Development, New York. Angela’s approach to coaching supervision draws on a combination of her education and training in coaching and coaching supervision, empirical research into Adult Development, Positive Psychology, complex system dynamics, Self Determination Theory, the efficacy of coaching, and coaching supervision, coupled with 15 years practicing as an attorney, where she specialized in disputes around professional responsibility, breach of duty of care, conflicts of interest and ethical issues. She was also part of the writing team responsible for drafting the world’s first ISO (International Organization for Standards) aligned Guideline for the training of coaches and the provision of coaching services. Angela is a member of the Association of Coaching Supervisors and a Fellow at Harvard’s Institute of Coaching. She is currently Programs Sub-Chair (Experiential Learning Sessions) for Columbia University’s Coaching Conference in 2018. Her coaching related qualifications include a MSc. in Organizational Coaching Psychology (University of Sydney), Adult Development (Harvard University), Human Capital Development (New York University) and Coaching Supervision (Oxford Brooks University).